Jalen is from Chicago by way of Charlotte. He was a member from the program from 2011 until 2013. 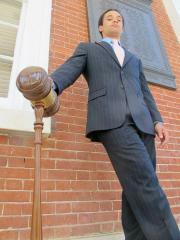 As a competitor, Jalen won three individual awards, including two attorney awards and a witness award. He also served as a team captain and as the program’s treasurer. He is currently a consultant with the Boston Consulting Group in Chicago. View Jalen's career individual awards by clicking here.